The Advanced Light Source is a highly productive scientific user facility. In 2016, our users and staff published nearly 1000 refereed journal articles, a metric that has consistently increased over the years even as the number of beamlines has remained stable. Furthermore, about 20% of the refereed articles are published in “high-impact” journals as defined by DOE (see below for a list). Recent high-impact journal articles are highlighted on the ALS home page. 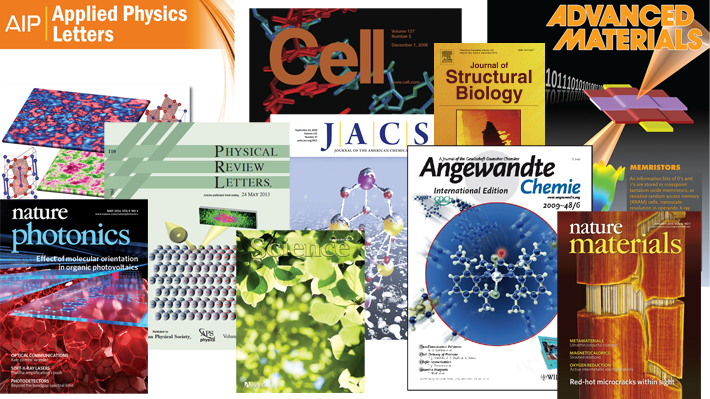 In keeping with the multidisciplinary nature of our facility, ALS publications reflect the wide range of fields represented by our users: biology, chemistry, physics, environmental science, materials science, and more. In addition to asking users to report their ALS-related publications, we also ask that they inform us about any ALS-related honors and accomplishments, including conference proceedings, theses, books (and book chapters), patents, awards, and invited lectures. To do so, click on the “Report a publication or accomplishment” button below.